This compact and highly capable unit provides 20 watts of MIL-STD-164 linear power in a 5.8” x 5.1” x 3.9” box that can be feed mounted. The BUC is designed to handle tough environments and meet the stringent X-band RF requirements, while drawing very little power for extended battery operation as needed. 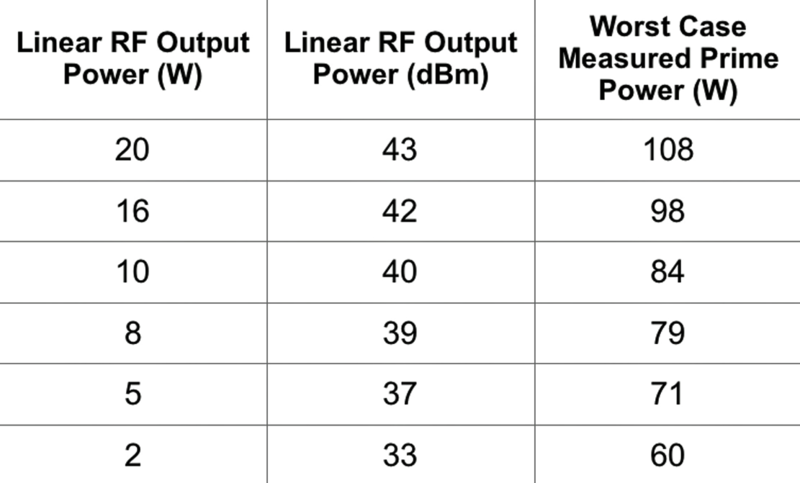 With increasing use of both military and commercial X-band systems, significantly more users are taking advantage of relatively more available X-band capacity. This new BUC enables integrators to offer highly compact transportable and manportable satcom terminals that take advantage of Skynet, Xstar and WGS to provide much higher data rates and more efficient operation. 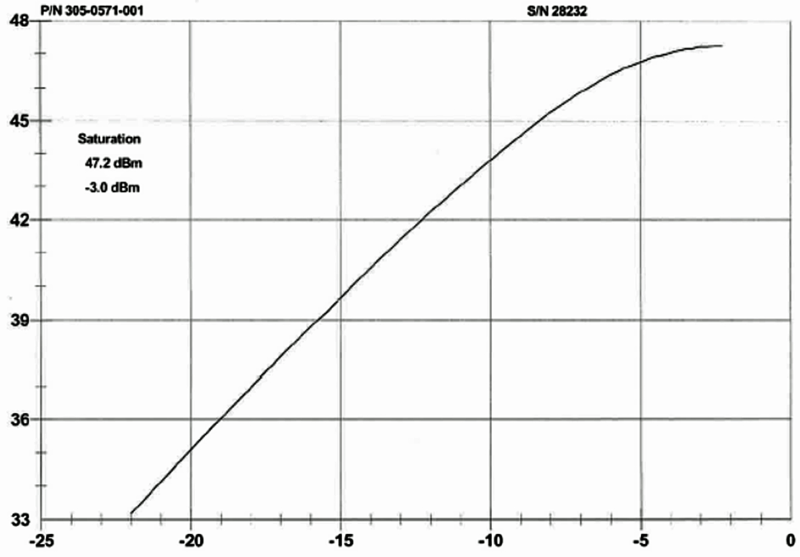 The XTSLIN-20X-B1 provides around 50W saturated output power, 32W linear power using MIL-STD-188-164 definition at midband and ambient temperature, and 20+W linear power over its 500 MHz frequency band (7.9 - 8.4 GHz) and 100 degrees Celcius temp range (-40 degrees Celcius to +60 degrees Celcius). This high linear output power level is achieved at less than 120W prime power consumption across all conditions, and comes in a 5.5 lb self-cooled feed-mount outdoor package that can handle the toughest environments. 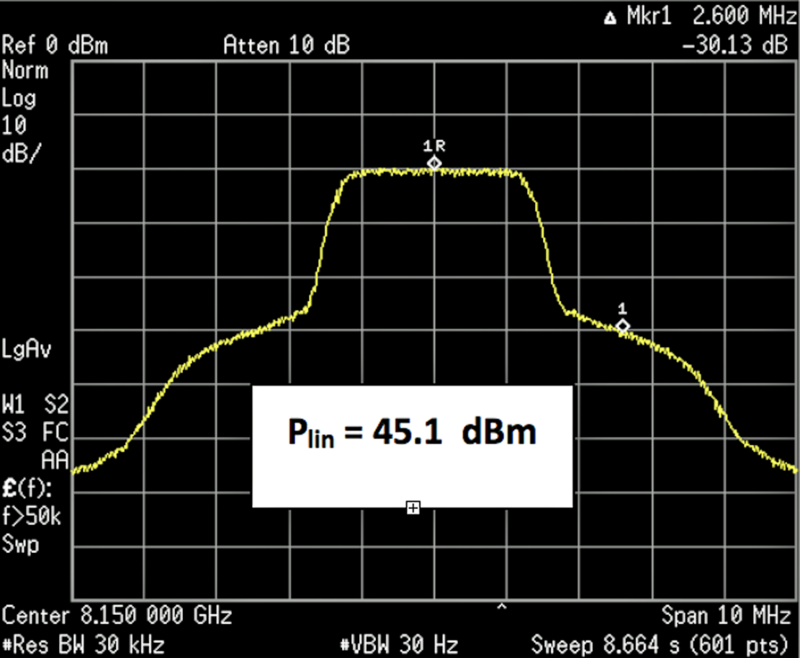 This unit accepts a 950-1450 MHz L-band input, upconverts it to 7.9 to 8.4 GHz X-band and uses GaN transistors to amplify the signal to achieve full output power. Features include temperature compensation, gain control, harmonic filtering, tight gain variation and stability, a serial RS-232 digital monitor and control interface, and options for operating with 24 VDC or 48 VDC prime power, provided over the IF line or through a separate connector. 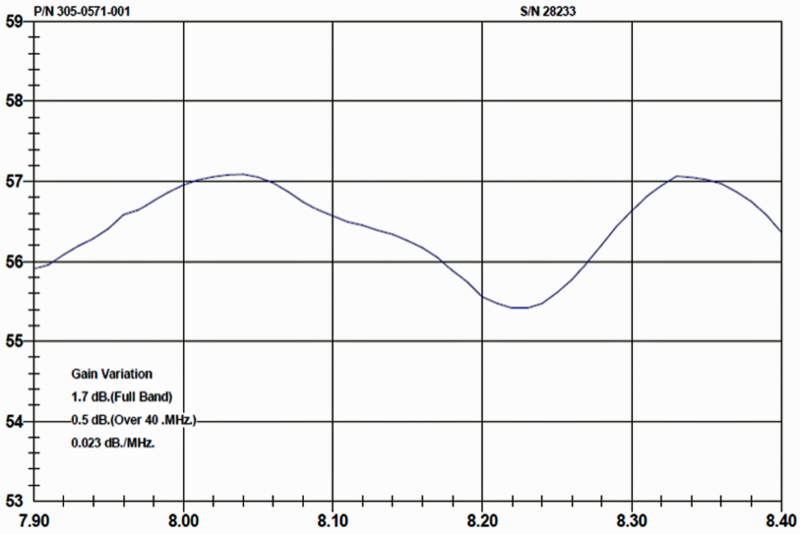 XTSLIN-20X-B1 Gain Variation is <2 dB p-p over the band. One of the critical features with such a compact unit is the efficiency. This GaN BUC operates as a Class AB amplifier with power draw ranging from 108W at 20W linear RF power output down to 60W at 2W output power level. Optional proprietary features offer even greater efficiency with Battery Saver mode for further extending battery life. With this new BUC capability, SATCOM integrators will be able to offer their customers the highest X-band data rates possible in the smallest packages. Now, that’s powerful. Low Prime Power Draw Enables Longer Operation From Batteries. 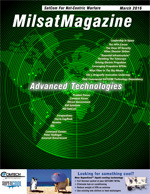 Power Amplifiers (SSPAs), and Block Upconverters (BUCs) for commercial and military applications around the world. Comtech Xicom leads the industry in technology across a broad array of products available for fixed locations and mobile platforms. Comtech Xicom Technology, Inc. has completed the initial installation and full operation of its new family of very high power SuperCool™ traveling wave tube amplifiers (TWTAs). This family of amplifiers has many practical advantages over traditional air-cooled amplifiers: reduced heat load in hubs with flexible and more compact installation; ease of service and maintenance; higher reliability; ambient noise reduction; and gain stability over ambient temperature. 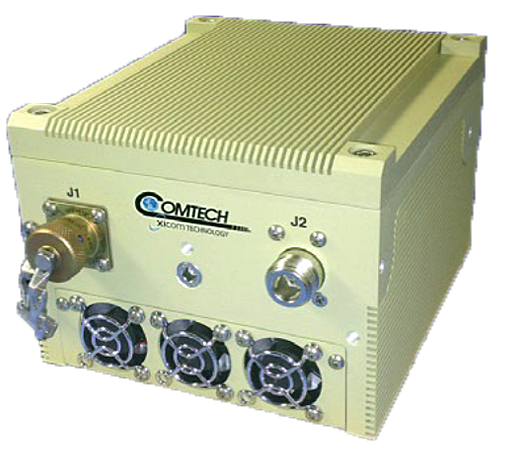 The new Comtech Xicom design incorporates integrated cooling channels in the amplifier baseplate, external to the sealed high voltage and RF circuitry compartment, with drip - free connections. Elimination of the need for air flow provision dramatically simplifies hub layout and design , and provides more space for maintenance operations and additional equipment. Data sheets are available at Comtech Xicom’s website.